1. To prepare the pak choi, cut the stalks from the leaves. Cut the stalks into large chunks and blanch in boiling water. The leaves are tender and will cook quickly so you do not need to blanch them. 2. Heat the oil in a wok on a high heat and add the garlic and kaffir lime leaves; stir fry for a minute. Add the chicken, mushrooms and pak choi stalks and stir fry for a few minutes, or until the chicken is cooked. 3. Throw in the spring onions, chilli and pak choi leaves and add the sugar, sesame oil, rice wine and soy sauce. Pour over the boiling stock and season with pepper. 4. Cook the noodles by placing them in a large bowl and covering with boiling water for a couple of minutes; drain. 5. To serve, place a handful of noodles in two bowls and ladle over the chicken, vegetables and broth. 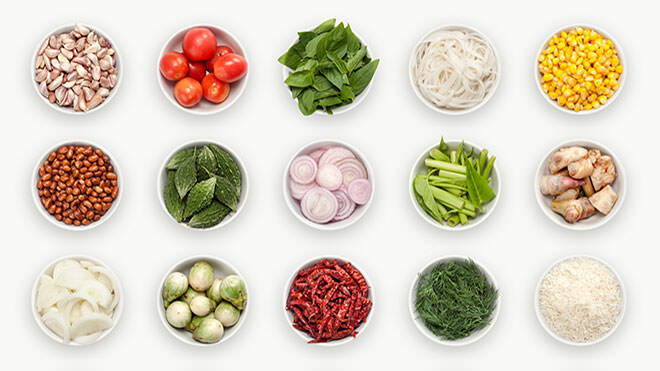 Finish with a squeeze of fresh lime and a handful of torn Thai basil or coriander leaves.